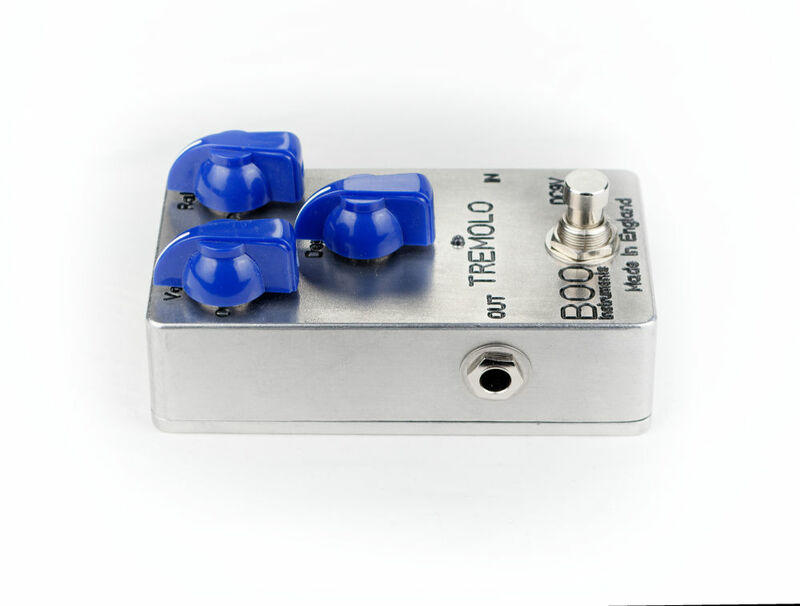 This pedal has an amazingly warm tone, due to it’s high quality discrete pre-amp section. 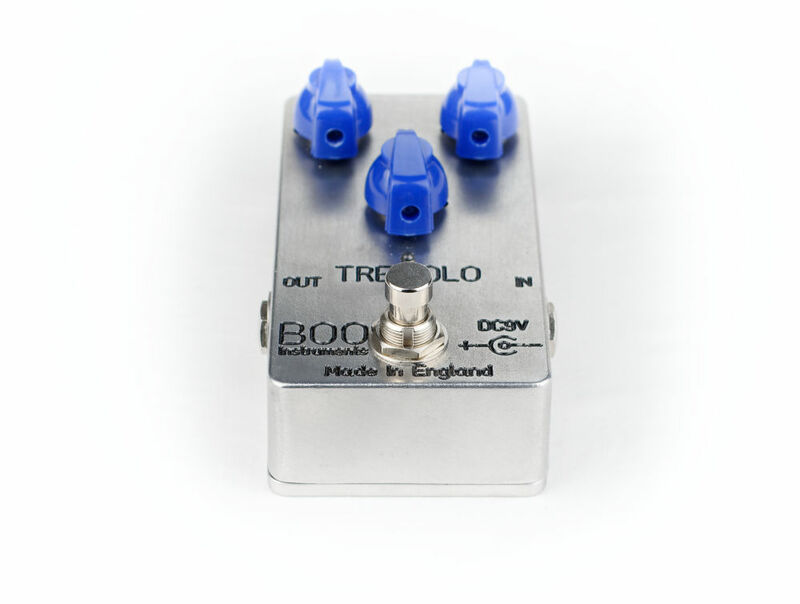 Built in England using the highest quality components. 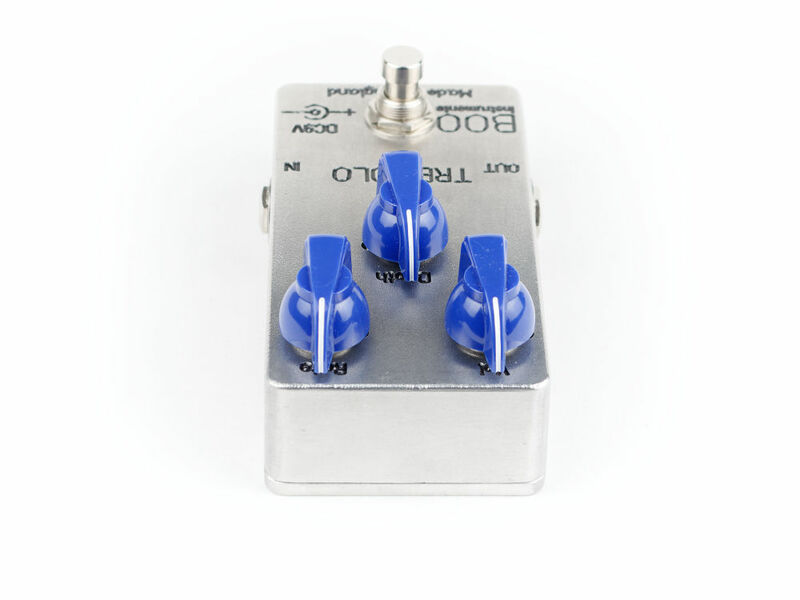 Features all discrete circuitry with true bypass. 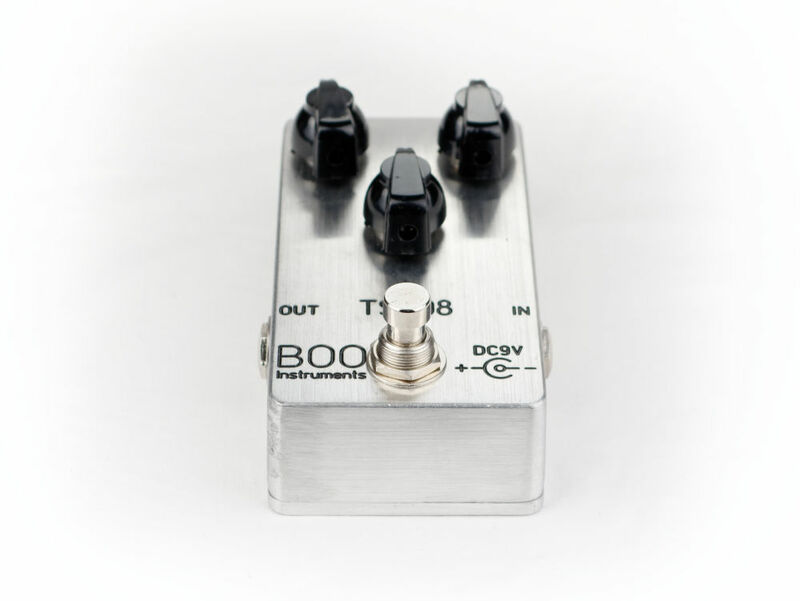 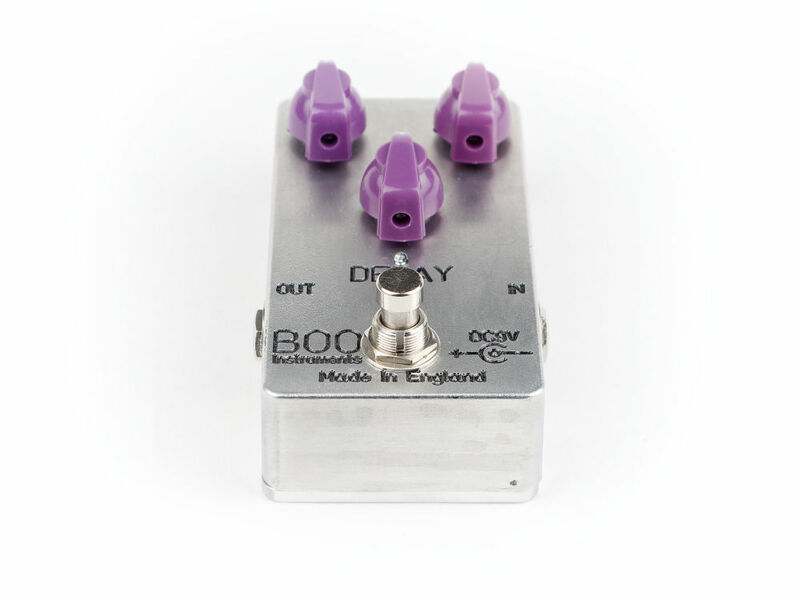 BOO Instruments Tremolo Effect Pedal made in England! 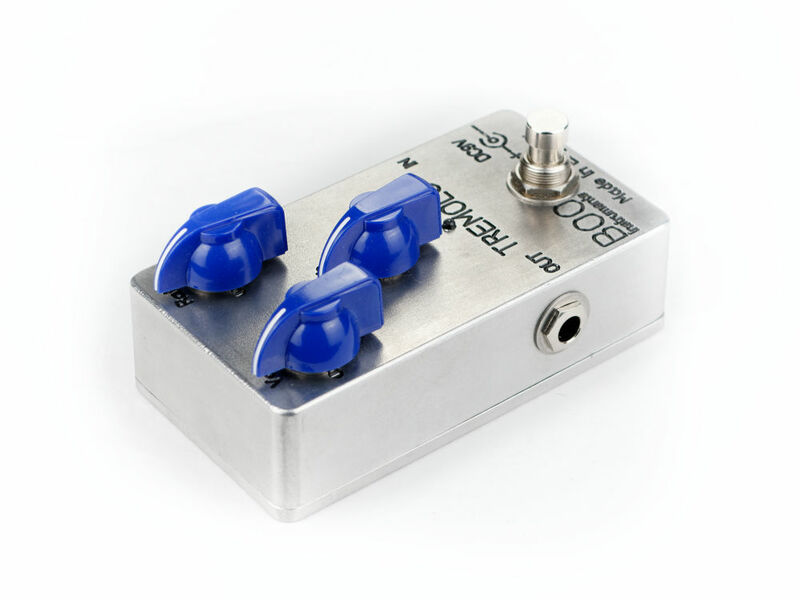 Blue Light up is also available and it will illuminate when the power jack is connected to the pedal, making your pedal easily visible on a dark stage. 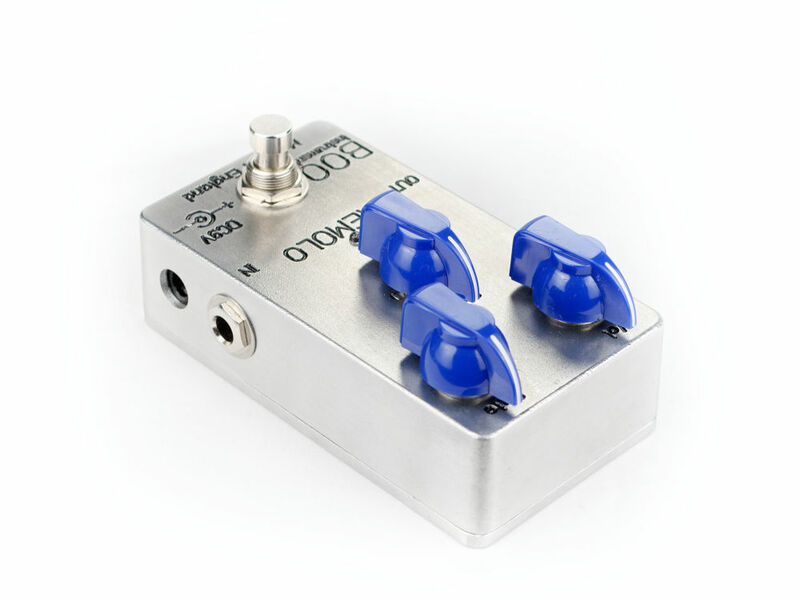 -Metal Film 1% accuracy resistors! 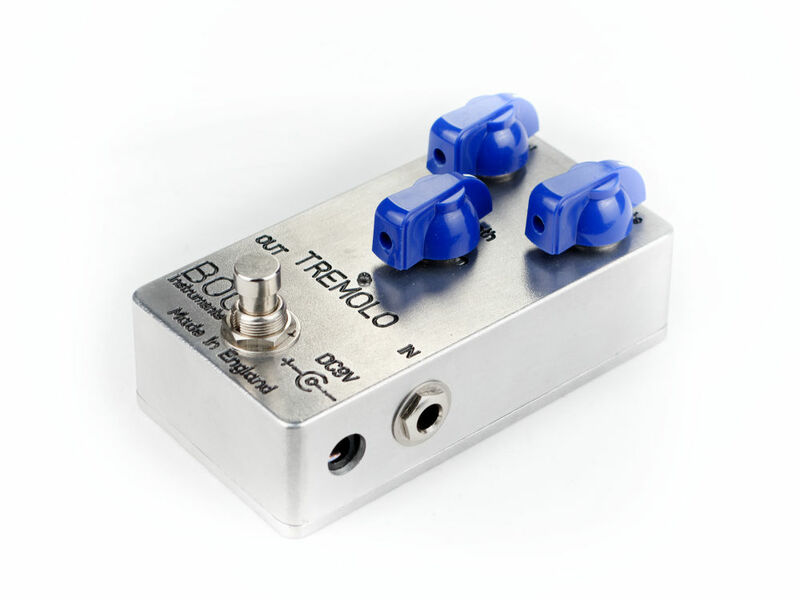 Volume allows great control over level of the preamp, from mute to 20+db of gain. 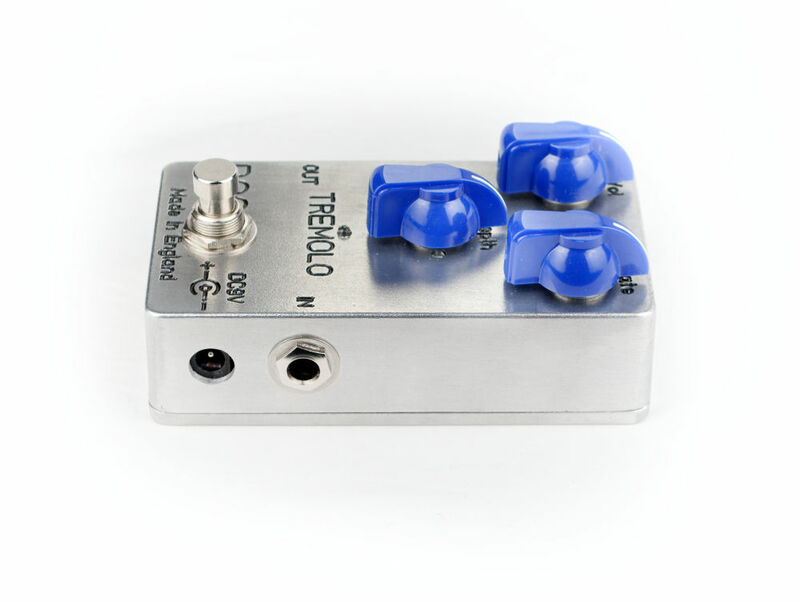 With the ‘Depth’ and ‘Rate’ controls it allows the user to dial in a great variety of settings from a gentle swell to a choppy and fast staccato type effect. 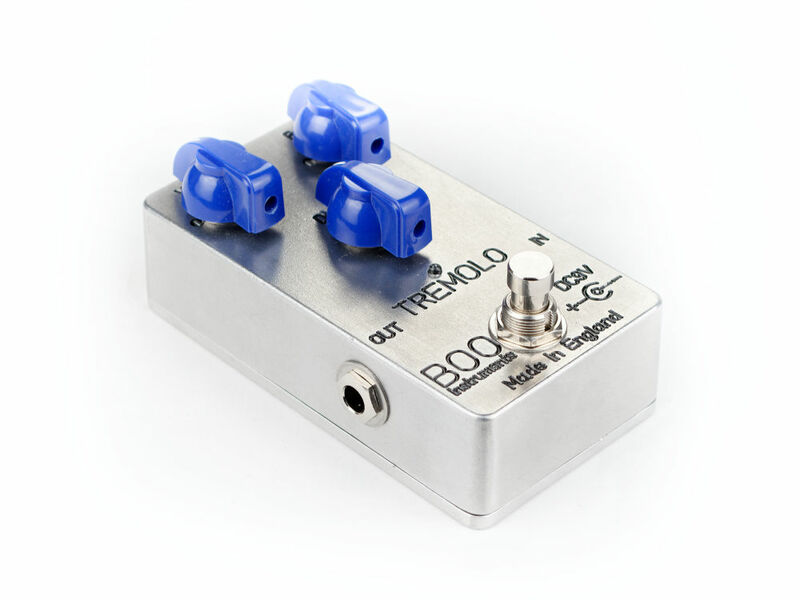 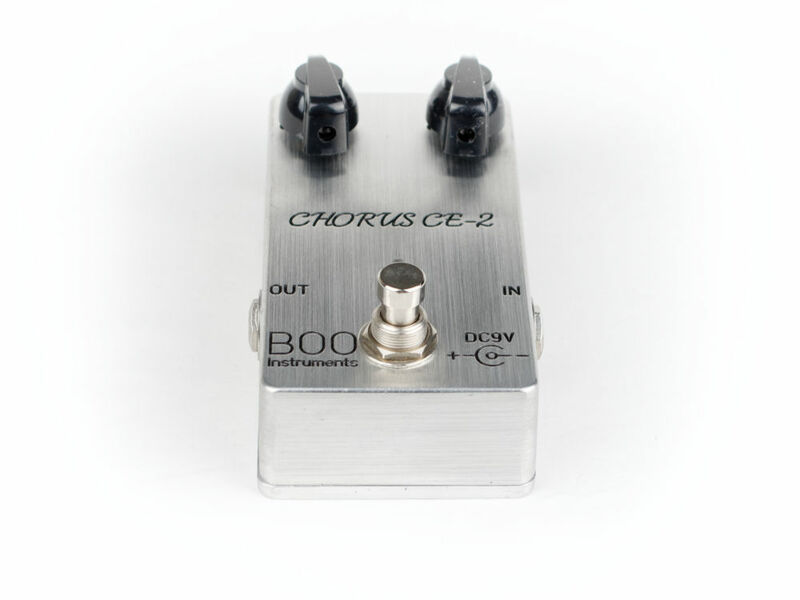 It is perfect for emulating some vintage tones or any other modern use that you may find for it. 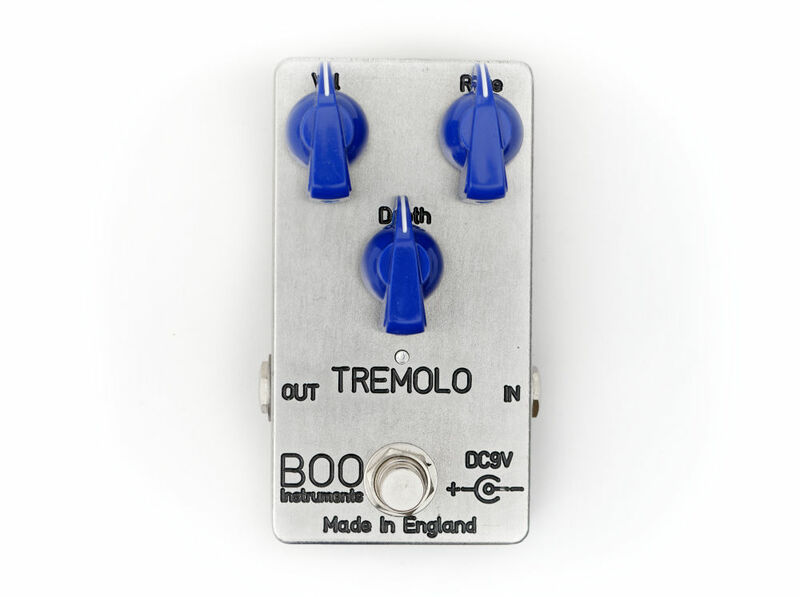 Note that this is not the quietest tremolo out there and there is some hiss present which is not audible when the guitar is playing as it is always in time with the Tremolo, but the Tremolo makes up for it many times over with it’s very lush and warm tone. 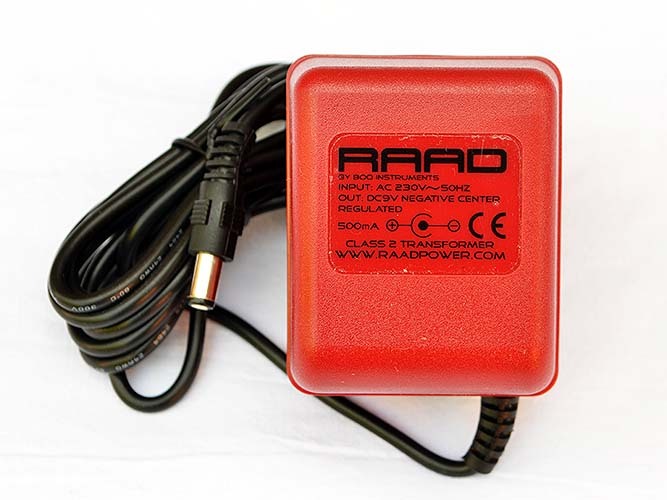 The light up lid version can only be used with a power supply.